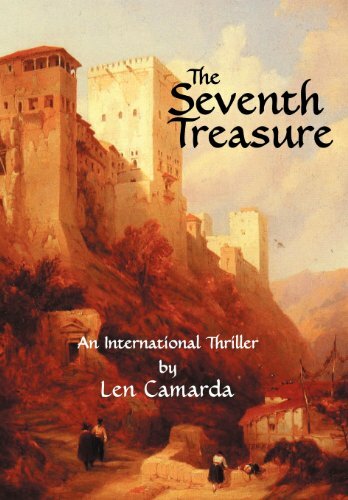 Len Camarda has published a few short stories, but The Seventh Treasure is his first novel. He is also an accomplished painter and believes writing and painting are interrelated, as the writer must paint images in the reader&#x2019;s mind to be effective. From Brooklyn, New York, he is a graduate of St. John&#x2019;s University, with BS and MBA degrees. A forty-year business career, mostly internationally, took him virtually around the world, including working and living in Panama, the Netherlands, and Spain with his wife and daughter, &#x201c;George.&#x201d; Living abroad was truly life changing, allowing him to experience different cultures and awesome vistas and create friendships that have endured for more than thirty years. The majesty, magic, and mystery of Spain, however, were the inspiration behind this novel. The lifestyle, the people, the food, and the unique character and traditions of each region of Spain open up new vistas and experiences that create an indelible mark. He returns often to Spain for an almost annual infusion of Espa&ntilde;a. Len, his wife, Terry, and two toy poodles&#x2014;Demi Tazza and Cappucino&#x2014;now live in the low country of South Carolina. An ambiance of beautiful weather, live oak trees dripping with Spanish moss, and a terrace overlooking a tranquil lagoon, all inspire his creative side with the beginnings of a second novel and more paintings.